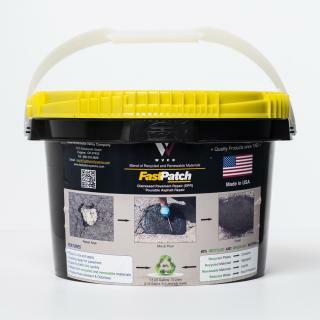 FASTPATCH DPR Pourable Asphalt Repair (3-Gal Kit) is an easy-to-apply, long-lasting repair material for distressed pavement. 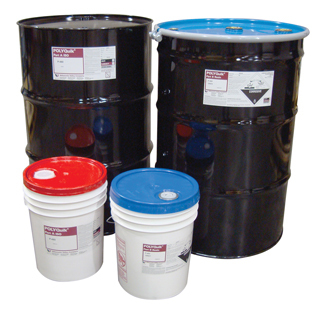 FastPatch DPR Pourable Asphalt Repair is supplied in complete, ready-to-use kits with a polymer blend of recycled and renewable materials. Each kit comes with Black topping sand to blend repair areas with the surrounding pavement. FastPatch DPR Pourable Asphalt Repair can be applied in cool or warm conditions, and in cold conditions with the aid of FASTPATCH Kicker accelerator (free upon request), to form a permanent repair that is quickly ready for traffic.